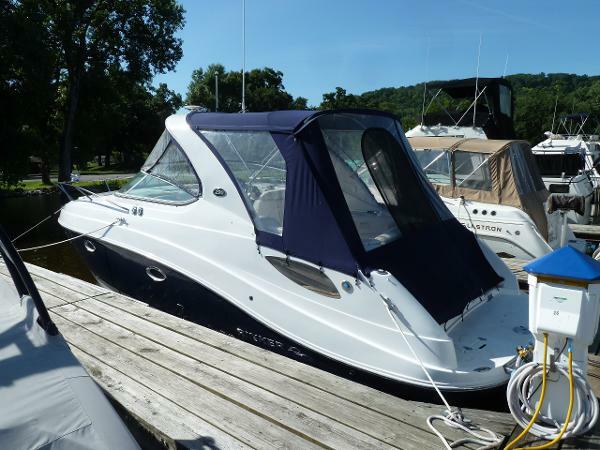 Very good looking 2013 Rinker 290 Express Cruiser. 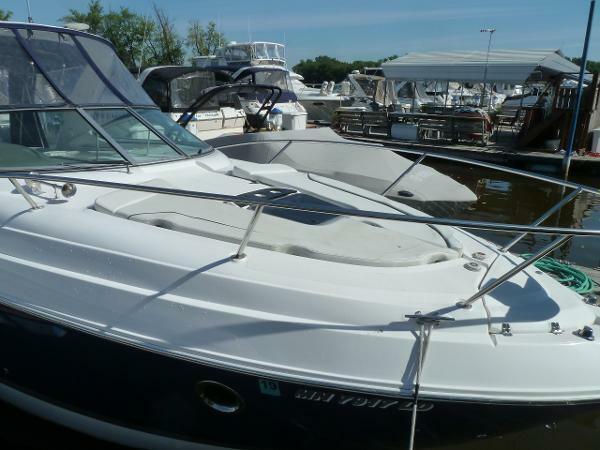 This boat is full of cool innovations, attractive styling and great features throughout. Powered by a 380 HP Volvo with a Duo Prop, this boat will cruise comfortably at 30 MPH with a top speed near 40 MPH. From first glance the molded swim platform and sleek lines of the 290 Rinker stand out. The Large Rumble seat on the platform is great for those who enjoy spending time in the water. Walk into the Cockpit and the single level open space is unique, inviting and very comfortable for entertaining. The aft seat can recline back making into a sun lounge, the Double wide helm seat can pivot for more conversational seating. The wet bar is nice with a Refrigerator, Sink and storage. Take a step inside and the wood work and Rich upholstery stand out, the boat has a high end tone and has great head room. The forward berth is big and open and doubles as the dinette, the galley has nice storage and features Corian Counter Tops. The mid cabin is sure to impress with a large opening and plenty of room and storage. 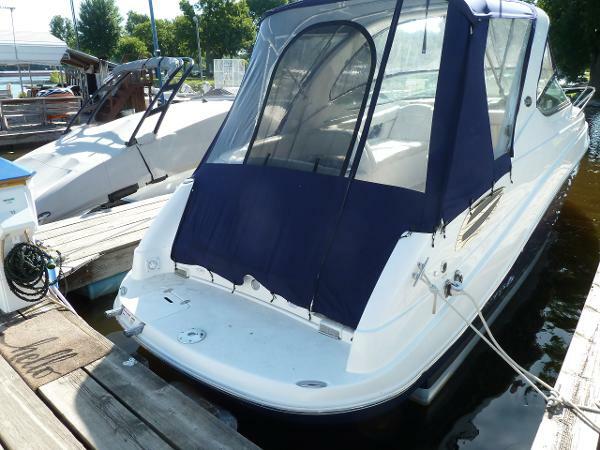 This boat is loaded with great Equipment as well, some includes Air/Heat, Windlass, Full Camper Top, Cockpit Cover, TV/DVD, Electric Flush Head, Bow Sun Pad, Transom Shower and much more! Please call or e-mail with any questions or to set up a time to view!